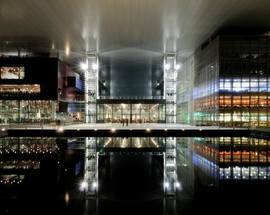 The striking KKL with its huge overhanging roof and its position right on the lake rivals even the Chapel Bridge as Lucerne's major landmark. 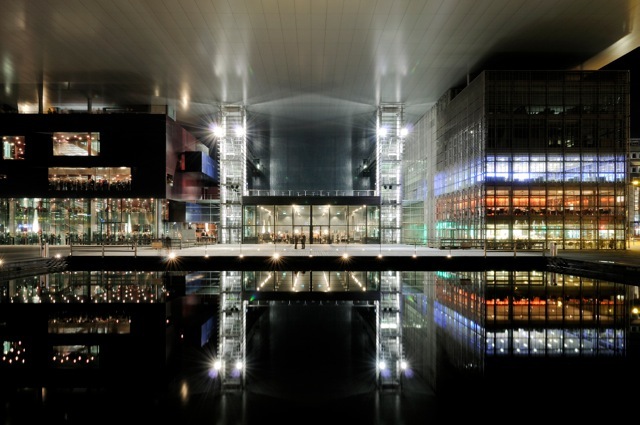 The concert and conference centre was completed in the year 2000, built to plans of Parisian architect Jean Nouvel. 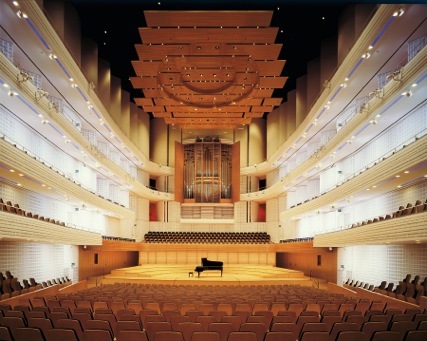 Its centrepiece is the concert hall with nearly 2000 seats which is used mostly for classical concerts. 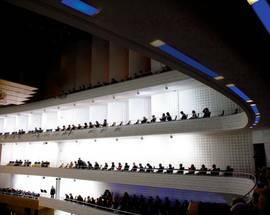 With walls clad in wood and white plaster reliefs it is known as the Salle Blanche (white hall) and has extraordinary acoustics thanks to acoustics engineer Russell Johnson. 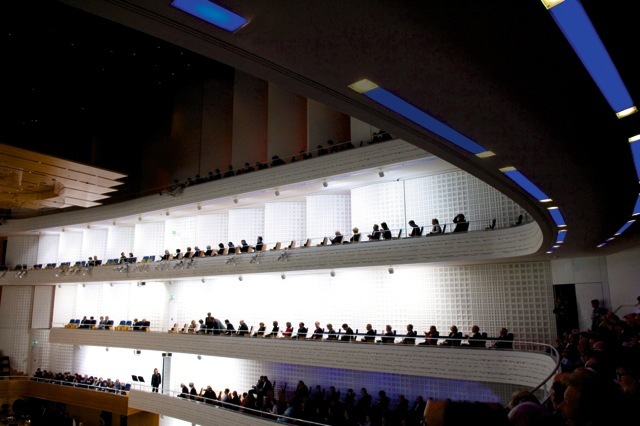 The KKL also houses other event halls, conference facilities and the Kunstmuseum art museum. 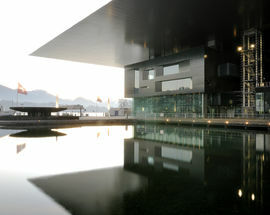 It also has several culinary options, the top-end restaurant Red, the self-service World Café and the elegant Seebar. 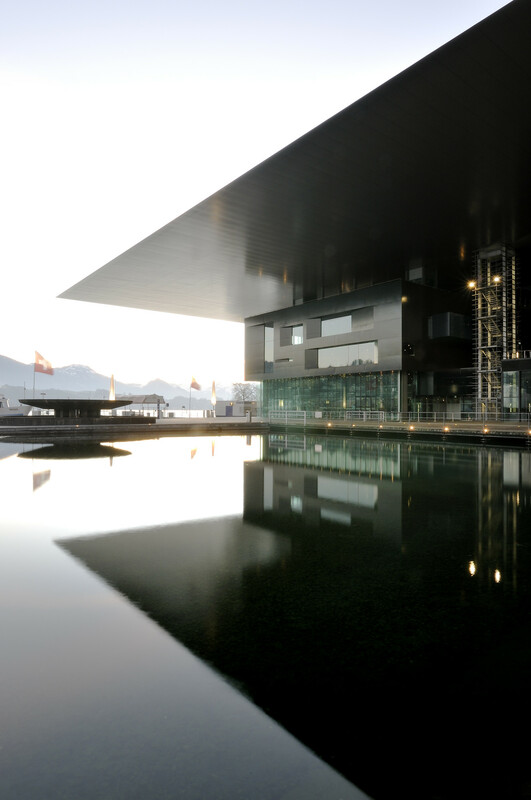 The KKL is home to the world-renowned classic music festival the Lucerne Festival and there are guided tours on most Saturdays at 11:00 sometimes on Sundays at 14:00, occasionally on Fridays and Thursdays (check here for dates and languages). 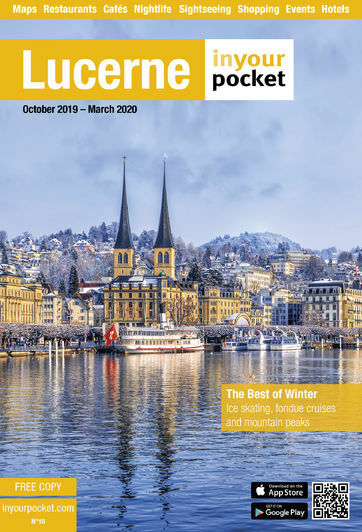 On most Saturdays guided tours at 11:00, additional tours often on Sun, occasionally on Fri & Thu (check its website for dates and languages). Reservations required, via website or tel. (+41) 41 226 79 50, 15/9Sfr.